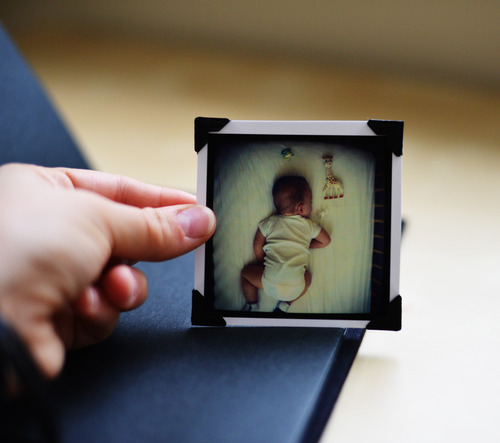 When was the last time you actually put together a photo album? I’m thinking for me it was honestly over 5 years ago. It makes me a little sad that I no longer have to go to Cvs or Walmart and print out my roll of film anticipating what pictures I actually captured. 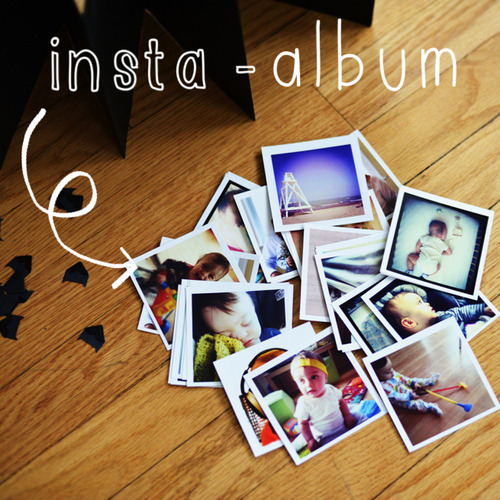 This was a super quick way to make an album, and have some fun with your favorite Instagram pictures. There are many printing companies now that specialize in printing Instagram photos, the company I used for this project is called Kanvess. These arrived fairly quickly (after an address mistake) and were perfectly printed on 3 x 3 inch paper. For 25 cents a piece you really can’t go wrong with how fun they are. 1. 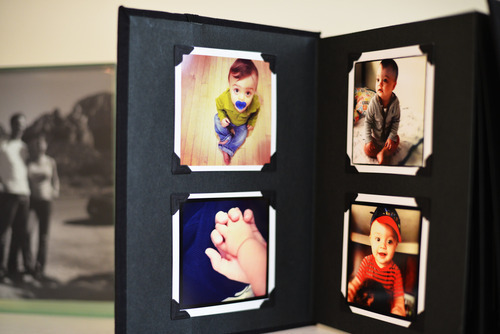 The first step is to find a scrapbook album that you like, I chose this accordion style album from the Martha Stewart collection at Michaels because it would look cute open on a mantle or shelf. 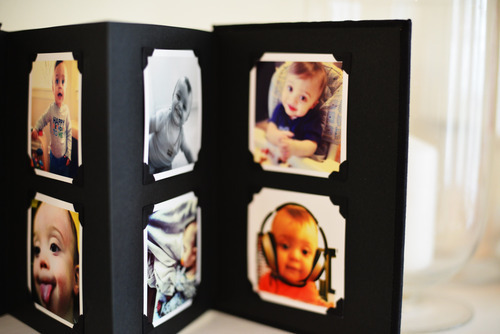 You want to use a scrapbook style album because you are going to be inserting the photo’s with picture corners. 2. 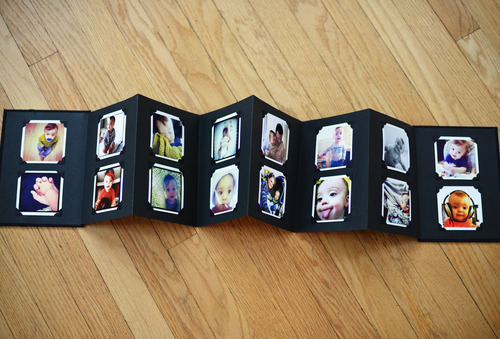 Step two is to place your corners on a photo and line up on your page. This album was just the right size to place two to a page. I am using picture corners that you have to moisten to stick. I believe they also make some that have a tape like backing. 3. 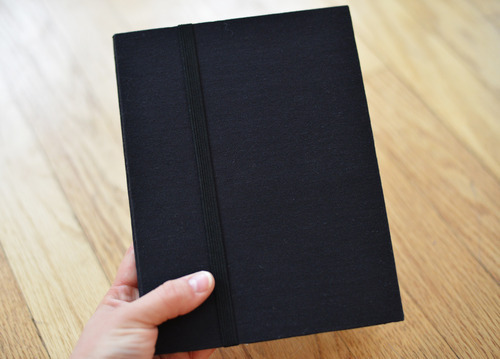 Step three is to start filling up your pages! It’s so simple. 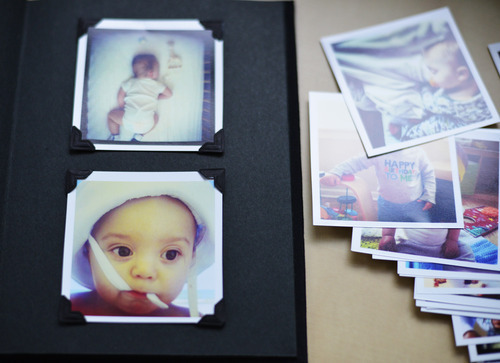 Hope you enjoy making some photo albums again, I am looking forward to making some of these for presents. Wouldn’t this make a great Father’s Day present?